Kensington Square is an integrated commercial and residential development, comprising 2 blocks of 141 residential units and 57 commercial shops, comprising retail, F&B, and a supermarket. Nestled in a serene and well-established residential district, it is 8 minutes’ walk to Bartley MRT Station, and is close to major expressways and amenities. Kensington Square’s tropical modern architecture and urban-village ambience is set to draw residents in the surrounding neighbourhoods such as Tai Keng Garden, How Sun, Bartley, Lorong Lew Lian, Jln Bunga, Rampai, Kovan (landed estates) and Bartley Residences, Bartley Ridge, Oasis and another upcoming condominium. The shops at Kensington Square will enjoy prominent frontage of around 50m along Upper Paya Lebar Road, and about 170m along Jalan Lokam. The commercial layout maximizes the wide frontage with many prime restaurant and shop units facing the two roads. Two main corridors carry human traffic to the supermarket and shops. The retail shops will also benefit from planned future development in the surrounding Paya Lebar and Bidadari neighbourhoods. Paya Lebar is slated to become a bustling commercial hub, with about 12 ha of land in the area available for development. A mixture of retail, hotel and office developments will complement existing commercial and industrial developments such as Paya Lebar iPark, Joo Seng/Macpherson Industrial Area, Ubi Industrial Park, Defu Industrial and Kaki Bukit Industrial area. 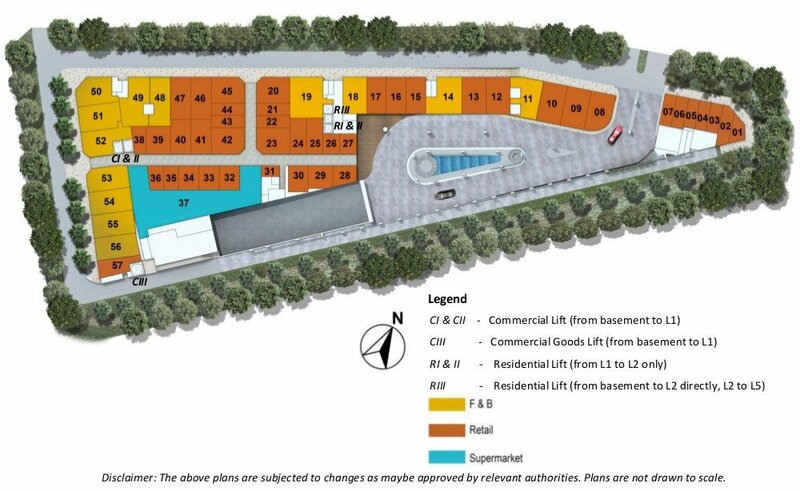 A proposed public plaza next to Paya Lebar MRT Interchange station will inject even more buzz into the area. This will become a focal point for activities as well as a gathering space for commuters, shoppers and office workers.